I’ve been back for a week, yet I’m struggling to figure out what to write in this blog. I’ve so much to say about Pluto, the near miss up in the ISS and Ant-Man, but my thoughts keep drifting back to my recent vacation. So why not blog about that? It was, after all, the last subject of my blog. Andrew and I took a trip that amounted to 4000+ miles/6437+ kilometers, driving through New York, Connecticut, Massachusetts, New Hampshire, Maine, New Brunswick, Prince Edward Island, Nova Scotia and Newfoundland, all in 15 days. For those of you who are unfamiliar with such places, check it out on a map. Looks doable, right? That’s what we said. And sure, it is. However, possibilities always come with caveats and, in our case, ambition met with reality. Our car ate up the miles and burned through its recent oil change all in one journey, but it didn’t complain once. It’s a charming town, so we stayed overnight, shopped a bit at the 24-hour L.L. Bean, then continued on the next morning through the vast expanse that is Maine. 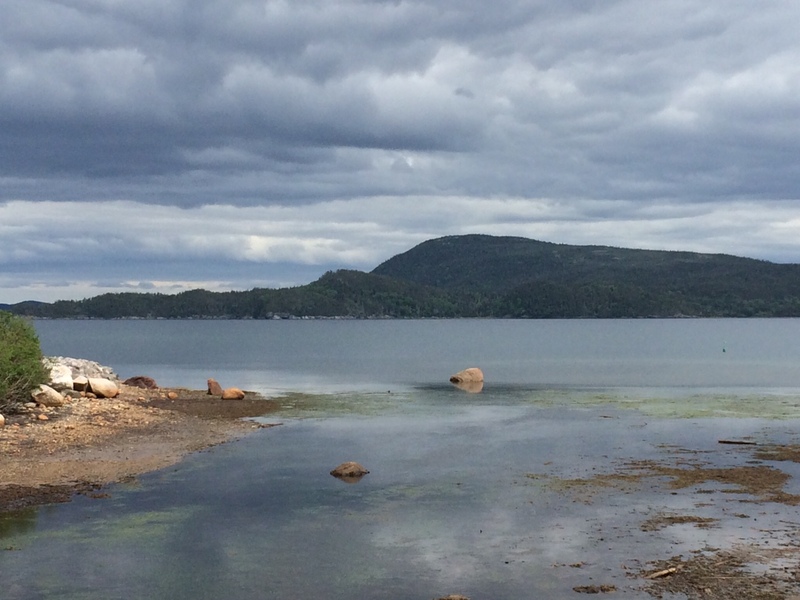 Traveling along State Highway 9, we discovered its beauty – and its remoteness. Feeling hungry and needing a pit stop, there wasn’t a single place to pull over and eat. Sure, there were a few convenience stores with take-out menus, but no toilets. Luckily, we found a place just when our bladders and stomachs nearly gave up hope. About an hour and a half later we arrived at Lubec, where we crossed into Canada. Up until relatively recently, Americans and Canadians had to show only a driver’s license to cross the border. Now, we need passports or an enhanced license, which contains much of the same information one has on its driver’s license embedded in it. But that doesn’t stop anyone from enjoying each other’s nation’s treasures. 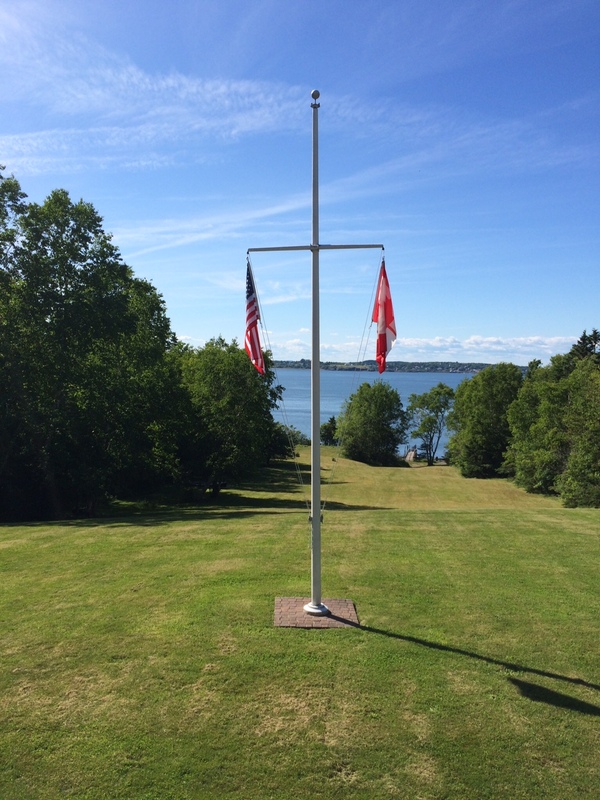 Our goal was Campobello Island, where Franklin and Eleanor Roosevelt had a summer cottage (a term I’ll use loosely) and also the location where he caught crippling polio that prevented him from walking for the rest of his life…but didn’t stop him from becoming the greatest American president ever. 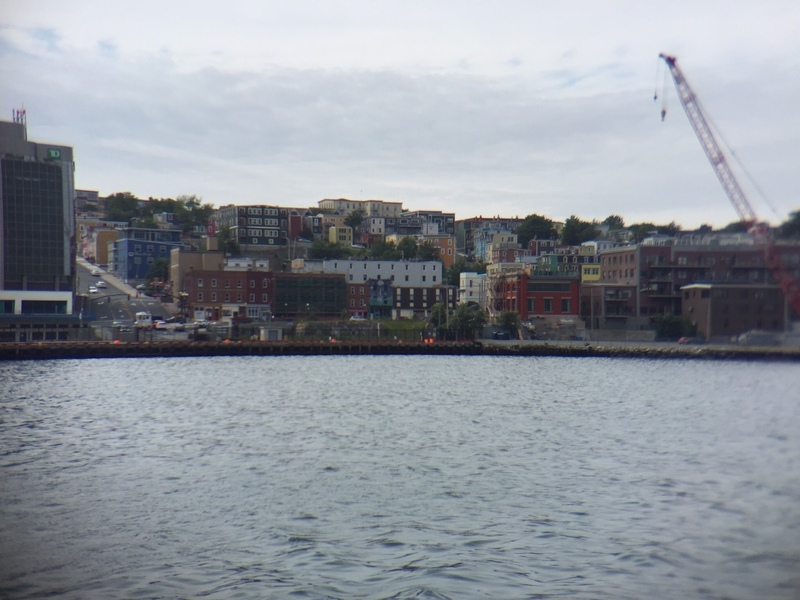 From there, we took a tiny ferry across to Deer Island, and because the tide wasn’t going the right way, we missed the world’s largest natural whirlpool – looks like a sink draining. Another ferry put us into St. John, NB, and quite possibly the worst motel room we’ve ever had, ever. 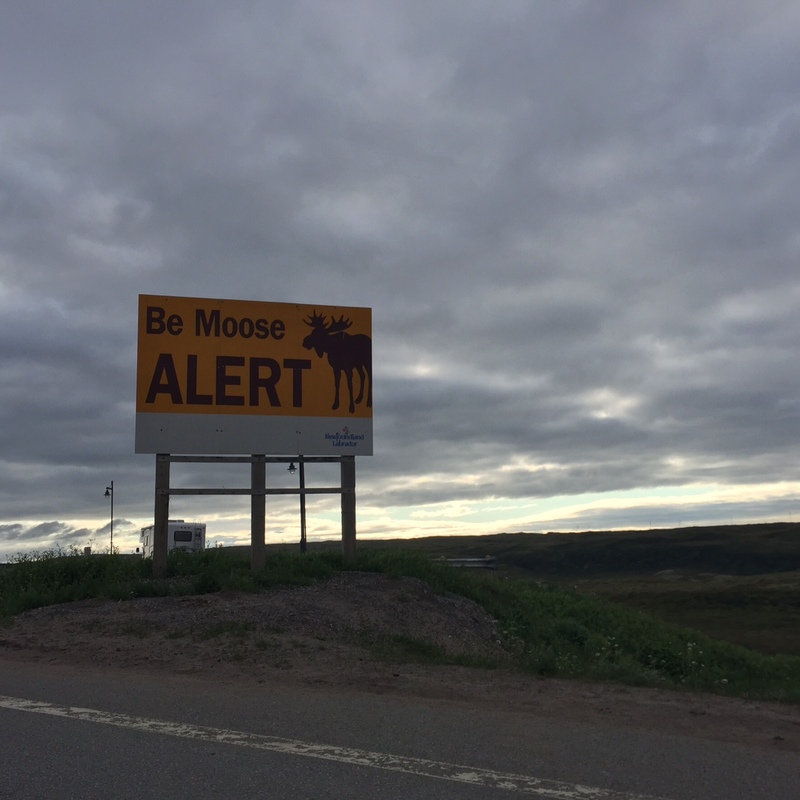 But it was only for one night and the drive to it was quite beautiful – saw a moose! – and then it was up to Moncton. We eventually wound up at Confederation Bridge, a bridge so long it took three songs playing on the radio to keep us entertained while we crossed. It was totally cool, though. 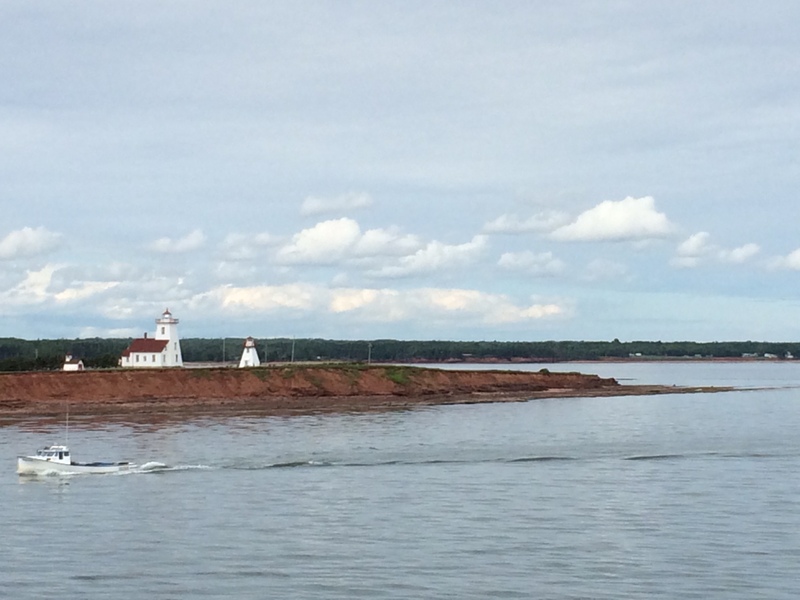 PEI is one of these magical places that you trip upon at some point in your life and swear you’re coming back. 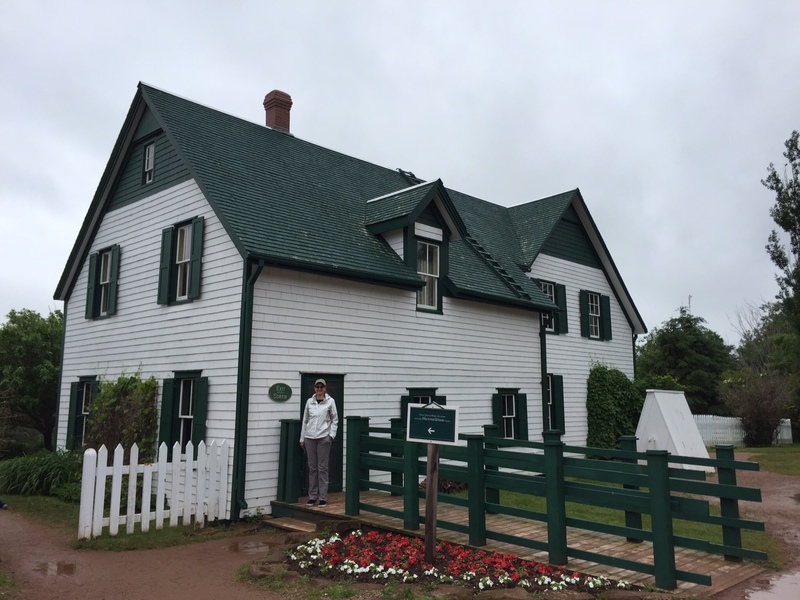 Lucy Maud Montgomery felt sufficiently inspired to write “Ann of Green Gables,” and we were lucky enough to stay across the street from the home that inspired her to write said book. 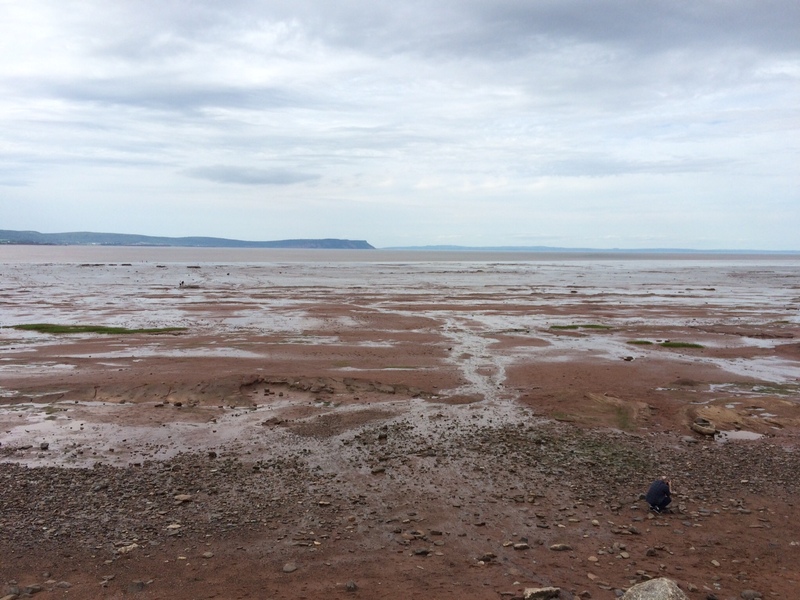 The next day, we rode horses on some Martian-red sand and hopped a ferry from PEI to Nova Scotia, just in time to celebrate Canada Day. Now this is a low tide! Andrew’s in the lower right hand corner, crouching as he snaps a photo. That’ll give you some perspective on how empty the beach becomes after the water ebbs. After Nova Scotia we drove north and headed to Newfoundland. 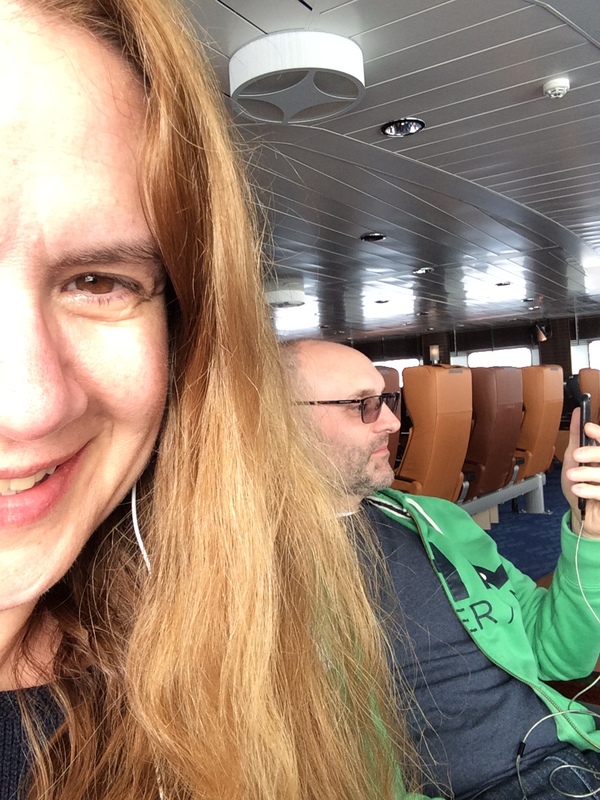 We took the 8-hour ferry to Port-aux-Basques, giving me ample time to finish “The Caves of Steel” by Isaac Asimov, nap, eat and take artful selfies. 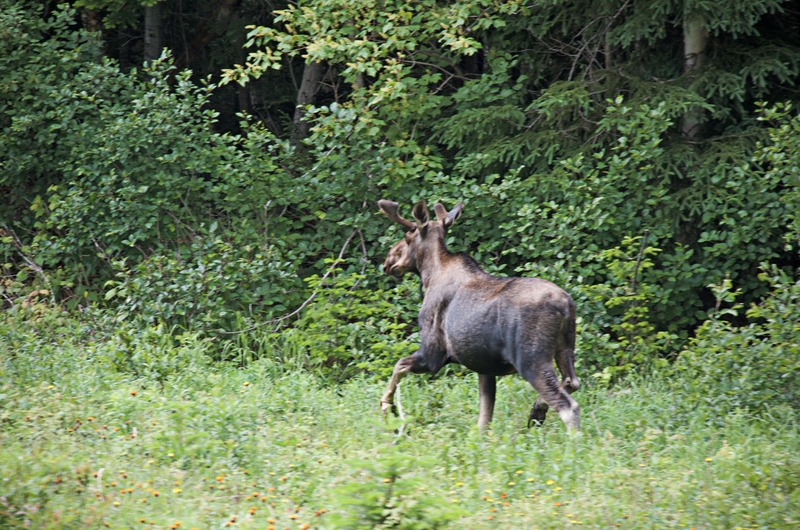 Yes, he boldly went where many moose dare to go – in the middle of the highway – and I was driving, but luckily he chose to run back into the woods and not total our car, but not before Andrew took his incriminating photo. 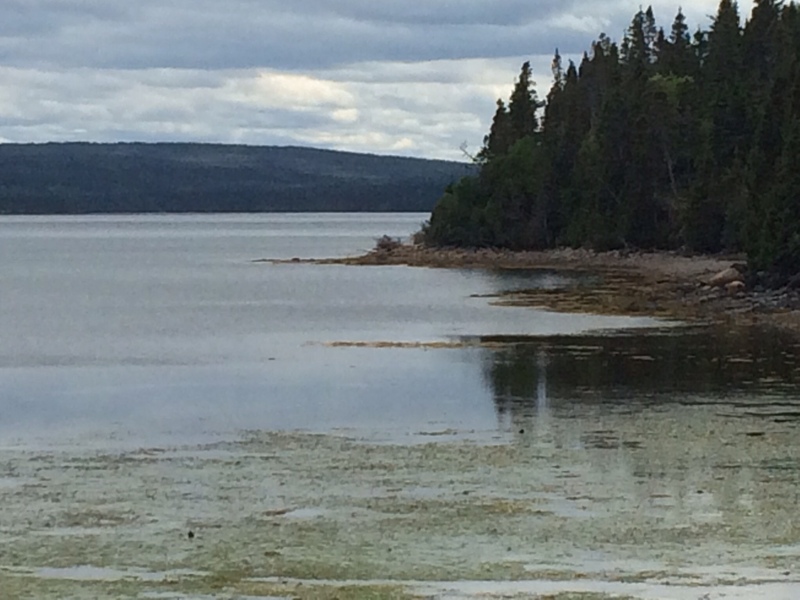 Because Newfoundland is packed with pristine beauty, we stopped frequently. Even took the time to nip into Terra Nova Provincial Park. Finally, we came to St. John’s, saddle sore but relieved. Loved that city the moment I stepped into it, not because it was the end of the road (finally), but because it’s a happening town all lit up like an Easter basket under a Christmas tree. 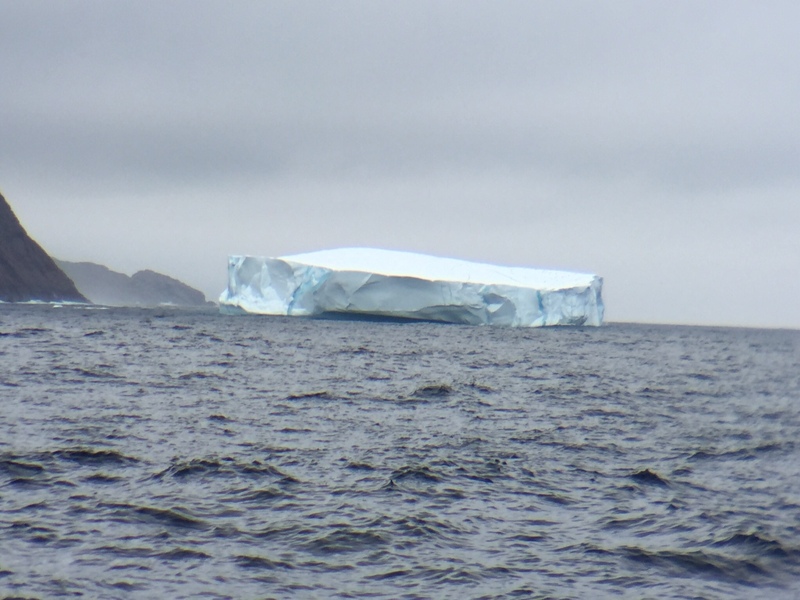 However, we had a mission: icebergs. We were not disappointed. There are no words to describe that iceberg that accurately conveys its size or majesty. 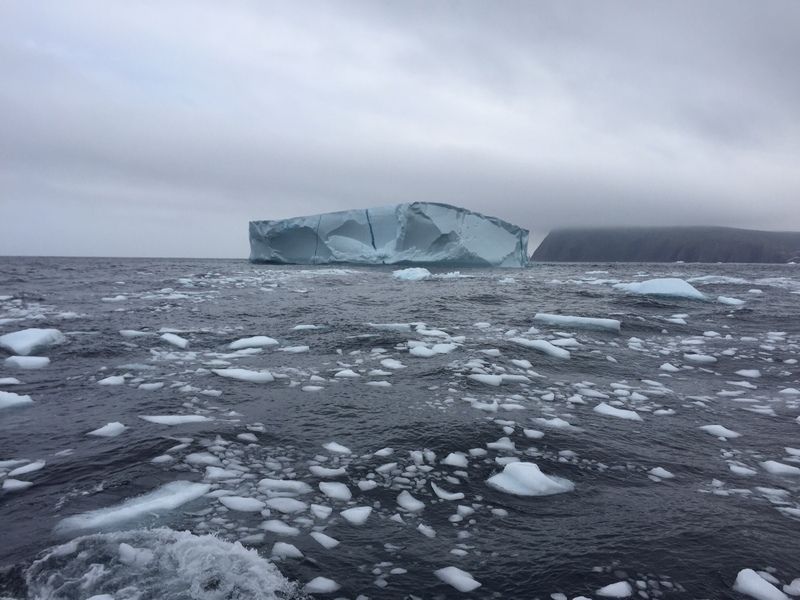 That’s the ice field an iceberg leaves behind – just as dangerous as the iceberg itself. 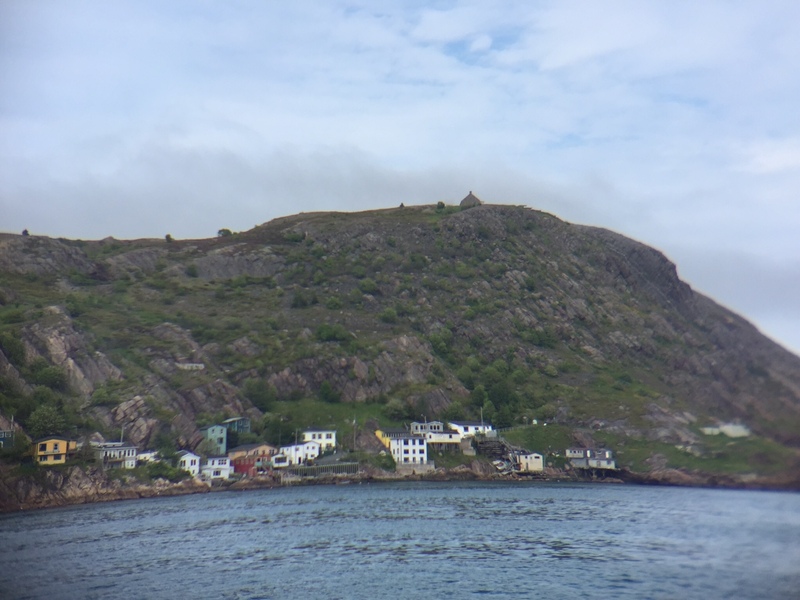 Later on our tour, Andrew and I were screeched – listened to a Newfie recite the history of the province, taught us a saying in Newfie tongue, we had to repeat said (incomprehensible) phrase, kiss a frozen cod and take a shot of rum. Afterwards, we received a certificate declaring us Screeched and honorary Newfoundlanders. Alas, we turned around and headed back towards the ferry (another 13-hour drive) and over to Nova Scotia once more to enjoy Bras d’Or Lake and a coastal assortment of lighthouses, then a fun-filled evening in Halifax, only to have lunch in Moncton once again and depart Canada over a very friendly crossing at St. Stephen, New Brunswick to Calais, Maine. 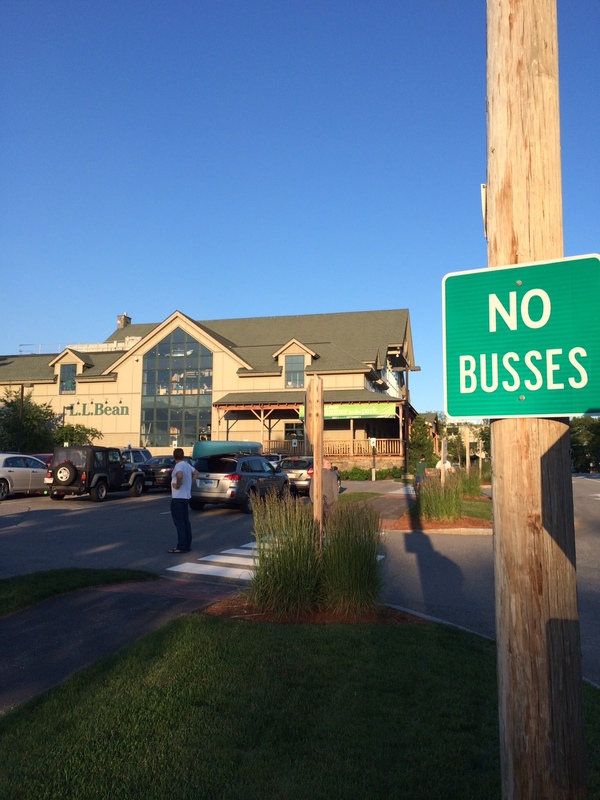 In fact, both towns are so close you see license plates from both New Brunswick and Maine in each town’s streets. 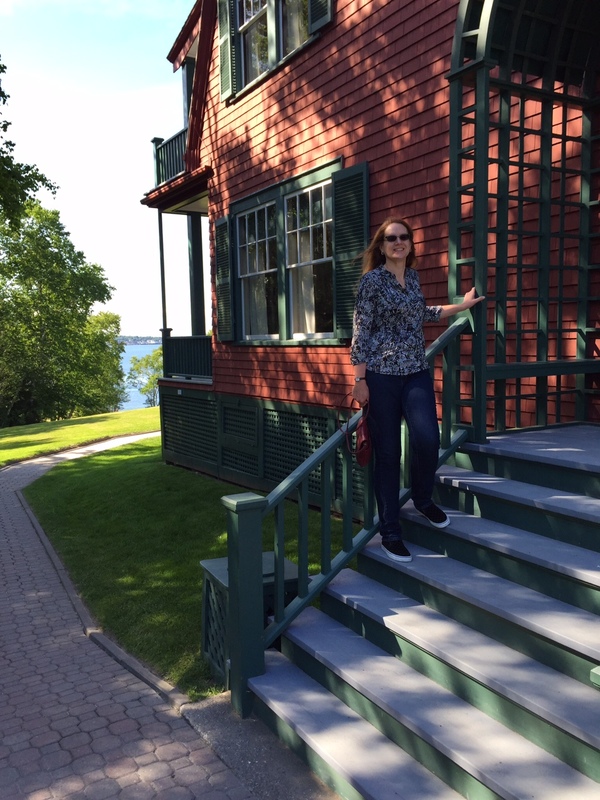 A quick stop in Bar Harbor, Maine and Sturbridge, Massachusetts over the next two days ended with our arrival at home. Whew! Took two days to write this! Oh yeah…we certainly DID have fun! Iceberg!!!!! That is nice surprise….didn’t know that u no need to go to Antarctica to see iceberg…. 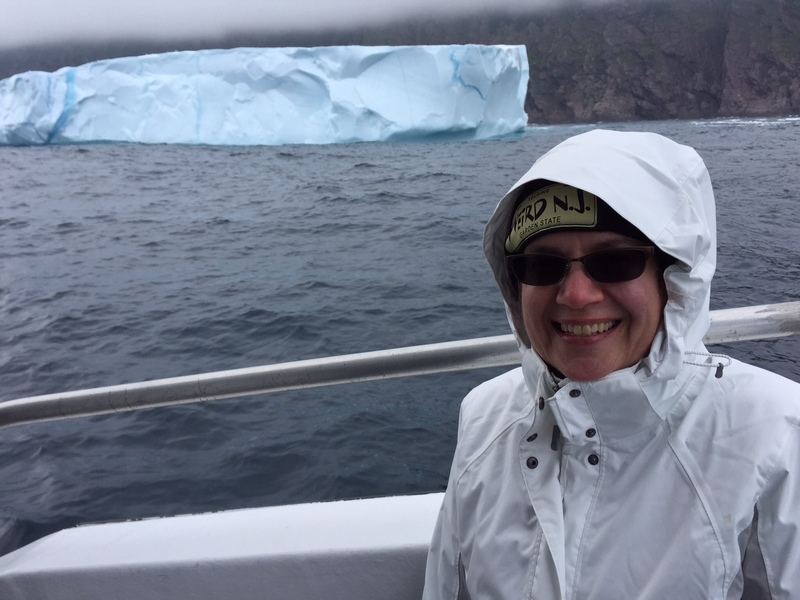 This is the end of the iceberg season in Newfoundland, but if you head up there from April to June, you’ll see them.